Girl gold: After many years of targeting summer movies to teenage boys, Hollywood is discovering there's also boxoffice gold in films appealing to young women. Along with male driven action hits like "San Andreas" and"Mad Max: Fury Road"and mega-blockbusters for everyone like "Avengers: Age of Ultron"and "Jurassic World,"Hollywood's also fielded a few girl power pictures this summer that have performed very well. The days of Hollywood looking down on so-called "chick flicks" are history now that there's girl gold at the boxoffice. Last weekend brought a great example of how female friendly films can translate into big grosses. Disney and Pixar Animation Studios' PG rated 3D animated family comedy "Inside Out"opened to a sensational and much better than anticipated $91.1 million in domestic theatres. It was the highest opening weekend ever, Disney said,"for an original property (non-sequel, non-sourced work), passing the previous best debut set by "Avatar" ($77 million) in 2009." And it was the second biggest Pixar launch ever after "Toy Story 3's" $110.3 million opening June 18, 2010. "IO" also did another $41 million in international theatres, opening in five key territories including Russia, where it was Disney and Pixar's highest grossing opening ever. The studio said the film's international openings will be staggered so as to take advantage of local holidays around the world. While "TS3" was boy-driven – Andy was leaving for collegewhen his toysgot delivered by mistake to a day care center rather than to his attic --"IO" is about Riley, a young girl whoselife changes drastically when her father moves their family from the Mid-West to San Francisco to take a new job. By making the film's central character a female, Pixar strengthened "IO's" appeal to women. In particular, the movie tracked best with women under-25 and almost as well with over-25 women. That connected it to the moms-with-kids audience that family films must attract to succeed at the boxoffice. It's sign of how things have changed that there weren't any concerns today about whether an animated film revolving around a young girl would work with moviegoers. That wasn't the casewhen Disney opened its animated adventure "Pocahontas" June 16, 1995. That film's storyline revolved around the young Indian princess with whom Capt. John Smith famously fell in love after he and his crew sailed from England to the New World of 17th Century Virginia. Prior to "Pocahontas" arriving in theatres, there was speculation that having a young heroine would be a turn-off to young boys, who were seen at the time as the core audience for family films. As it turned out, "Pocahontas" did okay, but not as well as some male-centric animated movies were doing at the time. It opened to $2.7 million in limited release at just six theatres, placing eighth. When it went wide the following week, it grossed $29.5 million at 2,569 theatres, just enough to take first place from the male appeal "Batman Forever" with $29.2 million in its second weekend. "Pocahontas" wound up grossing $141.6 million in domestic theatres. Those were decent numbers in 1995, but not nearly as good as the $312.9 million that Disney's male-centricanimated blockbuster "The Lion King"did domestically after opening June 15, 1994. Its lifetime gross is now $422.8 million, including reissues. Disney's big animated hit right after "Pocahontas" was Pixar's original "Toy Story," which went on to do $191.8 million after opening Nov. 22, 1995. Its male-driven story took in about $50 million more than the female appeal "Pocahontas" had done. But times have changed now and Hollywood has come to realize that girl power can boost the boxoffice.Women love to go to the movies when there's something playing that's targeted to them. Moreover, they typically bring kids with them or go with girlfriends as a group, so multiple tickets are sold. We've already seen some good examples of this since summer began and there are other titles targeted to women that are still in the pipeline. Universal and Gold Circle Films' PG-13 rated music comedy "Pitch Perfect 2,"for instance, has grossed $177.5 million after six very successful weeks in theatres. Directed by the actress and first time feature director Elizabeth Banks, it stars Anna Kendrick, Rebel Wilson and Hailee Steinfeld. "PP2" tracked best and very strongly with under-25 females and next best with women over 25. In "PP2," the Barden Bellas, an all-girls college singing group known for performing female pop songs and looking perfect, must regroup after their disastrous finals the previous year. Beca (Kendrick), anew recruit and an aspiring DJ, hashad no real interest in college life until she meets Jesse (Skylar Astin), who's with a rival all-male singing group. Now Beca's out to find a new look and sound that will put the Bellas back incompetition. 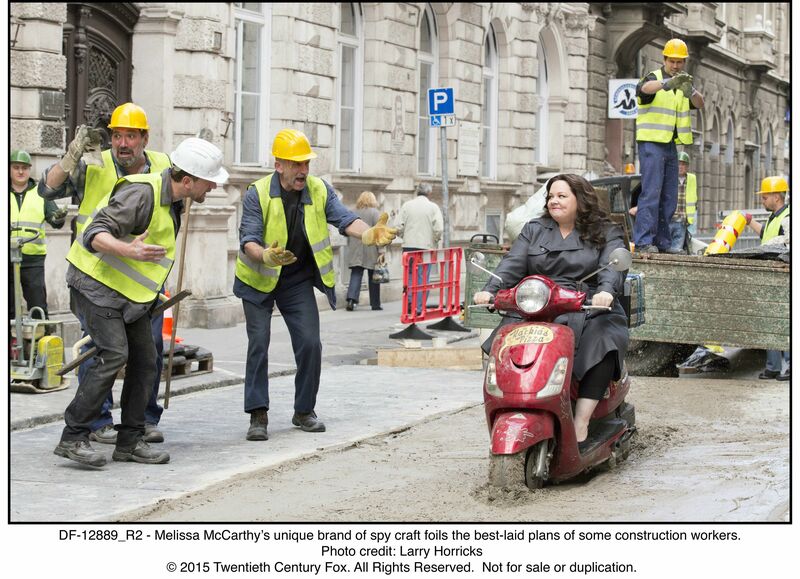 Another good example of female friendly fare is 20th Century Fox and Chernin Entertainment's R rated action comedy "Spy,"which placed third last weekend with $10.5 million. It'sdone $74.4 million in its first three weeks in domestic theatres and should have good boxoffice legs as the summer unwinds. "Spy"tracked best and in double digits as a first choice with women over 25 and next best with under-25 women. McCarthy's female following turned "Bridesmaids" to a sleeper hit. It opened May 13, 2011 to $26.2 million and wound up doing $169.1 million domestically. This weekend will see Universal and Media Rights Capital'sR rated comedy "Ted 2"open at about 3,200 theatres. Directed by Seth MacFarlane, director of the original "Ted," it stars Liam Neeson, Mark Wahlberg, Amanda Seyfried and MacFarlane as the voice of Ted. While "T2"is more male-centric than female, the original "Ted" also did nicely with under-25 women and the new film's storyline has more female appeal than the first one did. In this episode, newlyweds Ted and Tami-Lynn (Jessica Barth) want to have a baby. But before Ted can qualify to be a parent, he must go to court to prove he's actually a person. With that storyline, under-25 women could play a larger role in driving "Ted 2's"boxoffice success. A week after "T2"checks in, female moviegoers will have an opening that's clearly meant for them -- Warner Bros. and Iron Horse Entertainment's R rated male stripper comedy "Magic Mike XXL." Directed by Gregory Jacobs ("Wind Chill"), it stars Amber Heard, Channing Tatum and Elizabeth Banks. Jacobs, by the way, was the first assistant director on the original "Magic Mike." In the sequel, it's three years after Mike (Tatum) quit the stripper life at the top of his game and the remaining Kings of Tampa male stripper group are also ready to throw in the towel -- but not until they give one last blow-out performance in Myrtle Beach with Magic Mike sharing the spotlight. The original "Magic Mike" opened June 29, 2012 to $39.1 million and went on to gross $113.7 million domestically. With the franchise's beefcake brand well established now with its core audience of young adult women, the new episode should out-perform the original. Bottom line:Summer at the movies is no longer just for the guys! In fact, Hollywood is now starting to make big budget female driven action movies. Production got underway earlier this month in Boston (doubling for New York) on Columbia Pictures' remake of its 1984 sci-fi action comedy "Ghostbusters" – but with female stars in its four starring roles. The new production is directed by Paul Feig ("Bridesmaids," "The Heat") and stars Kristen Wiig, Melissa McCarthy, Kate McKinnon and Leslie Jones. Its producers are former Columbia Pictures chairman Amy Pascal and Ivan Reitman, who directed the original blockbuster. The first "Ghostbusters" starred Bill Murray, Dan Aykroyd and Harold Ramis (as the ghost exterminators) and Sigourney Weaver (as their first customer). It opened June 8, 1984 to $13.6 million, which was very good business for its time, and went on to gross $229.2 million domestically. Its lifetime domestic gross with reissues is now $242.2 million. The reimagined "Ghostbusters" is set to open July 22, 2016 via Columbia. Its budget is reportedly about $154 million after being trimmed by about $15 million from original plans. That's a big bet on boxoffice girl power and makes even more senseif reports are correct that the reboot will be more of a horror movie than the original. Under-25 women are typically the core audience for horror thrillers, so a horror-driven "Ghostbusters" with female star casting could scare up some very big bucks at the boxoffice.